I am quite thrilled to be a keynote speaker for EdTechTeam’s “The Virtual” summit, European edition (November 17, 2018). In my talk, entitled “Crushing It with Creativity” I plan to share my thoughts on how to maximize your personal creativity as well as develop a creative classroom culture. There will be some “big picture” concepts peppered with lots of “do it tomorrow” practical ideas from my book, Intention: Critical Creativity in the Classroom (co-authored by Dan Ryder and published by EdTechTeam Press). I usually have to persuade folks that they can think this way too – that creativity is a way of approaching the world. It’s also, as I’ve asserted more times than I can count, not just for “artists”. Our Creativity Manifesto in Intention makes the bold claim that it is a birthright (in each and every one of us), a way of being (not a one-off / add-on), something that can be taught and improved upon (if you know how it works), and the essential skill of our time (not that it’s a new thing, just something we are increasingly in need of in this rapidly changing and challenging world). My keynote is derived from a section in Intention we call “Crushing It With Creativity”, where we offer tips on becoming a more creative thinker. How does this play out in the classroom? Find out by signing up to the Virtual Summit (hope to see you there). In the meantime, here’s a little couplet poem I’ve penned that highlights some of my beliefs about creativity. It’s the very best part of being alive! Often we feel we are hitting a wall. The artist, upon a blank canvas must stare. To get unstuck and make things stick? To untie the internal editor’s noose? All good things come with practice, it’s true. But of course, you first must know what to do! Find out what it is, essentially. But often, stillness – incubation. Or come as habit, day by day. Mash up the old to make the new. Finding relationships others see not. Things like time, resources, tools. And craft a clever metaphor! Turn the status quo on ear. I’ll see you there…let’s go CREATE! 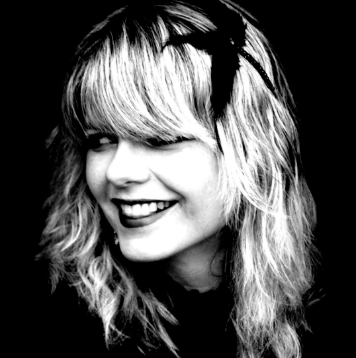 Amy Burvall is a serial creator, professional dot-connector and frequent flâneuse. After 25 years in K-12 education she is currently consulting, creating, and curating in the fields of creativity, visual thinking, and digital literacies. Save your Seat for The Virtual!